New. 1847497888 Brand New Book, Express delivery ( 5-8 days ), customer satisfaction Guranted. New. 256 p. In Stock. 100% Money Back Guarantee. Brand New, Perfect Condition, allow 4-14 business days for standard shipping. To Alaska, Hawaii, U.S. protectorate, P.O. box, and APO/FPO addresses allow 4-28 business days for Standard shipping. No expedited shipping. All orders placed with expedited shipping will be cancelled. Over 3, 000, 000 happy customers. Virgina Woolf's ideas on feminism are inspiring for women. 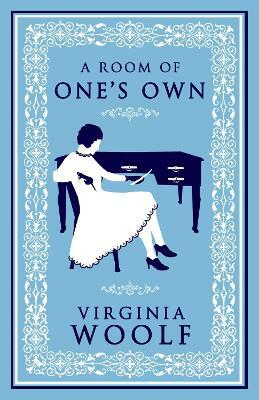 Virginia Woolf is worthy of her praise, and her skillfulness with words is most apparent in this work. Many of her prescient statements still resonate today. She artfully weaves illustrative tales within her imploring passages, and both are thought-provoking. Woolf is witty, sharp, and indipensable to the canon of women's rights. I also recommend Orlando.